↑ เอริก ดับเบิลยู. 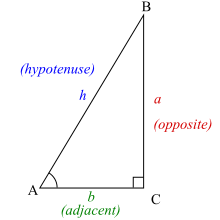 ไวส์สไตน์, "Equilateral triangle" จากแมทเวิลด์. ↑ เอริก ดับเบิลยู. ไวส์สไตน์, "Isosceles triangle" จากแมทเวิลด์. ↑ เอริก ดับเบิลยู. ไวส์สไตน์, "Scalene triangle" จากแมทเวิลด์. ↑ เอริก ดับเบิลยู. ไวส์สไตน์, "Triangle area" จากแมทเวิลด์. Animated demonstrations of triangle constructions using compass and straightedge. Deko Dekov: Computer-Generated Encyclopedia of Euclidean Geometry. 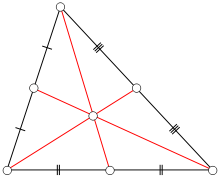 Contains a few thousands theorems discovered by a computer about interesting points associated with any triangle. Clark Kimberling: Encyclopedia of triangle centers. Lists some 3200 interesting points associated with any triangle. 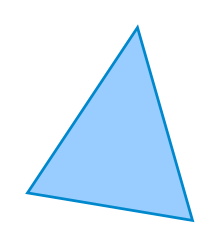 Triangle Calculator - solves for remaining sides and angles when given three sides or angles, supports degrees and radians. Triangle definition pages with interactive applets that are also useful in a classroom setting. 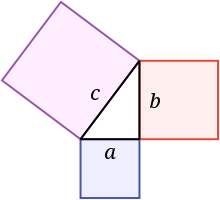 Triangles: Theorems and Problems. Interactive illustrations at Geometry from the Land of the Incas.